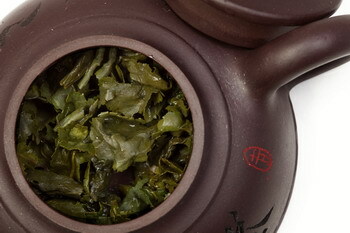 Spring or Autumn tender leaves skillfully processed mean Oolong quality. Oolong Tea is one of the most famous Chinese teas. It is semi-green tea, half fermented. The hometown of Oolong tea is Anxi county, Fujian province, the southeast of China. The climate there is subtropical, mild, warm and humid with plenty of rain. The tea plantations lie in the hills with fertile brown soil which contain rich organic mineral components. 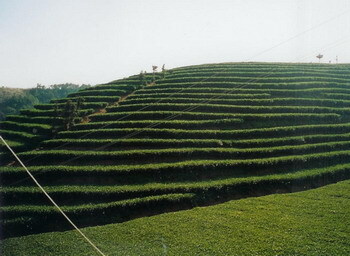 Anxi has a long history of tea cultivation, dating back to the seventh century Tang Dynasty. Oolong tea has more than 70 varieties, mostly named according to their own particular features. 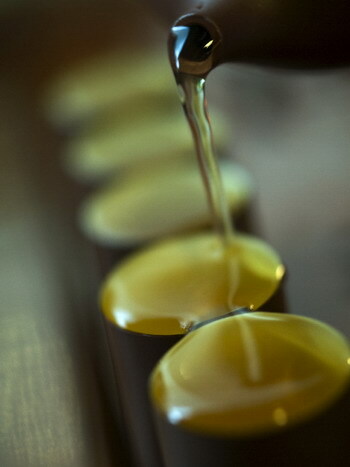 Tie Guan Yin (铁观音), means Iron Goddess - as heavy as iron in quality and as fine as Goddess in fragrance and taste. This is the most famous Oolong tea. Quality Oolong gives you a luxurious experience thanks for its flowery fragrance, bright and golden color and its smoothly mellow taste. 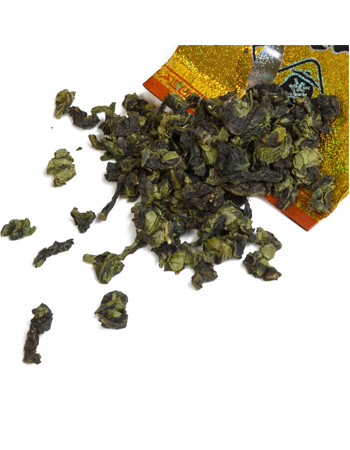 Guan Yin King is the high point of Oolong beauty. Once you taste it, you can’t forget it! A handmade Yixing clay teapot is the best. 95-100 ℃ water. Refill up to 6-7 times. the second and the third reflect its beauty best. Its fragrance has already embraced my nose. Refreshing, smooth and long lasting in your mouth.